In the spring of 1992, Monique thought she was on track to graduate from Milwaukee Trade & Technical High School. But a week before commencement, she learned from her guidance counselor that she was half a credit short and by that time, summer school classes were full. Monique did not graduate; “I was young and dumb and just said ‘to heck with it’, and I went on to live my life,” she lamented. Monique was a quick study; in a month she was ready to take the GED exams, all of which she passed on the first try. 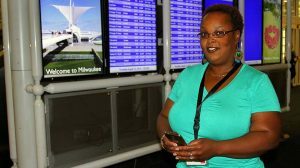 She had achieved one of her goals; now she dreamed of getting into the travel industry. Because of her success, Literacy Services awarded Monique with a Norman Gill Scholarship. The scholarship enabled her to take a course at The Adelman Travel Academy. 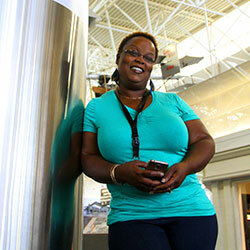 Monique enrolled in a course on the travel business and began in earnest to pursue her dream.